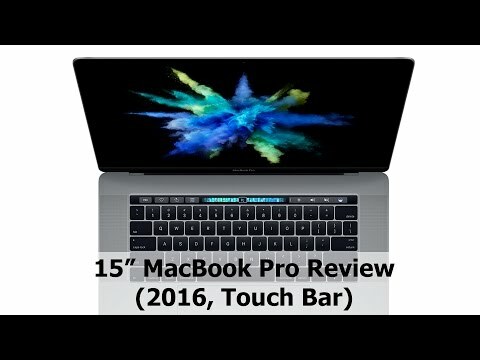 If you own Apple MacBook Pro 15-inch with Touch Bar (2016)(512GB), please do leave your feedback too. Apple’s Macbook Pro is a lineup of laptops which consists of products which come with high end specifications, packed with features and are well-designed too. This is the 2016 version which introduced the Touch Bar for the first time. The Macbook Pro comes with a 15-inch display which has a resolution of 2880 x 1800 pixels. The device has a LED-backlit Display With IPS Technology which makes it easier to view even in daylight conditions. There is a 0.9MP webcam above the display provided for video calling and other utilities. For listening to audio, there are stereo speakers with High Dynamic Range and a headphone + microphone combo jack. On the performance front, the Macbook Pro seems like a powerhouse as it houses an Intel core i7 (6th gen) processor. It has 16GB DDR3 RAM to handle multi-tasking seamlessly but there is just one memory slot provided in the laptop. For storage purposes, the laptop has 256GB SSD storage. Graphic performance is expected to be good in this laptop as it packs in an AMD Radeon Pro 455 2GB dedicated graphic card. Just like all Apple laptops, this one runs on macOS (Sierra). Since new versions of the operating system has already been launched, you can upgrade the laptop. The MacBook Pro packs a battery capacity of 76 WHr which will will last for 10 hours. On the connectivity front, there are four Thunderbolt 3 USB Type-C ports provided. Bluetooth v4.2 and Wi-Fi IEEE 802.11ac are provided in the laptop as well. Dimensions of the laptop is 13.75 x 9.48 x 0.61 and the laptop is quite light weight at around 1.83kg.